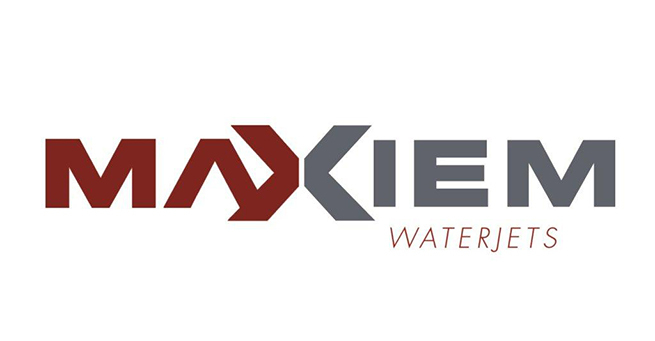 About Maxiem - G & W Machinery Sales, Inc.
MAXIEM Waterjets, a division of OMAX® Corporation, has been delivering cost-efficient, industry standard abrasive waterjet cutting technology since 2009. Made in the United States, these value-inspired waterjets are closely related to the corporation's OMAX line of premium JetMachining® Centers. Ideal for fabrication shops, metal service centers, trade schools, job shops as well as architectural, sign, stone and gasket shops, MAXIEM Waterjets are precise, reliable, efficient and easy to use. They utilize controller software specifically developed for abrasivejet cutting, robust Intelli-TRAX® linear drive technologies as well as OMAX-proven, industry-leading direct drive pump technology. As machining techniques continue to advance, MAXIEM remains committed to developing value-inspired, highly productive solutions that give more shops the opportunity to benefit from innovative waterjet cutting technology. Shops can produce quality parts from virtually any type of material thanks to the robust, easy-to-use Intelli-MAX® Software installed on every MAXIEM machine. This software control provides extremely fast cutting speeds and high precision by applying the best cutting model in the industry, which uses exact calculations and appropriate parameter control to machine specific thicknesses and materials. All MAXIEM machines come standard with state-of-the-art Intelli-TRAX linear drive technology for superior performance in harsh abrasive waterjet environments. When combined with the patent pending Brushless Vector Drive technology, this X- and Y-axis linear drive system enables each MAXIEM machine to create a uniform X-Y motion and the fastest traverse in its class. All MAXIEM Waterjets employ a robust, highly productive 50,000 psi direct drive pump. Available in 20 hp, 30 hp, and 40 hp configurations, direct drive pump technology delivers more horsepower at the nozzle than intensifier pumps, while using less electricity for increased efficiency. MAXIEM owners can further enhance their machine's capabilities and performance with several innovative accessories.